Thinking of spring to come, except I realise now that I forgot to plant any bulbs, so these memories of tulips past will have to serve. They were snapped at very close quarters in my garden last April, and with a Kodak Easy Share. The poor little camera has lost its zoom, but it’s quite good on macro. The same might be said of the photographer. 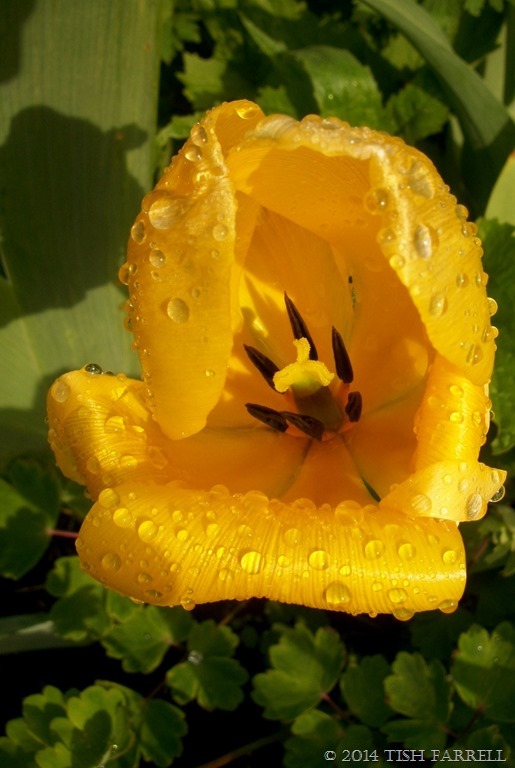 Posted on December 19, 2014 December 19, 2014 by Tish Farrell	This entry was posted in gardening, photography and tagged DP weekly photo challenge, Tish Farrell Writer, tulips. Bookmark the permalink. I am finding that my looks improve in direct proportion to my failing eyesight. Excellent, simply beautiful. Merry X-mas! Really nice photos. Beautiful and well done! Thank you very much, Timothy. Excellent shots Tish, oh and the same applies to THIS photographer! Beautiful tulips! Our garden has pretty much bitten it for good and all. I am unlikely to replant. I don’t have the spine to maintain it. I treasure all the photos I took over the years. They prove the weed patch was at one time, a real garden! Well, sometimes one just has to let the garden do its own gardening. Left to its own devices it can do some amazing things. It’s all a question of seeing ‘weeds’ in a new light. This is my excuse anyway. You haven’t lost your zoom, Tish, and your eye is flawless once again. I love photos of water drops on plants and these are delicious. Thank you, Janet, and have a great Christmas. Ditto. Great shots. Merry Christmas! Merry Christmas to you, Stephen. And happy holidays to you too, Tiny. 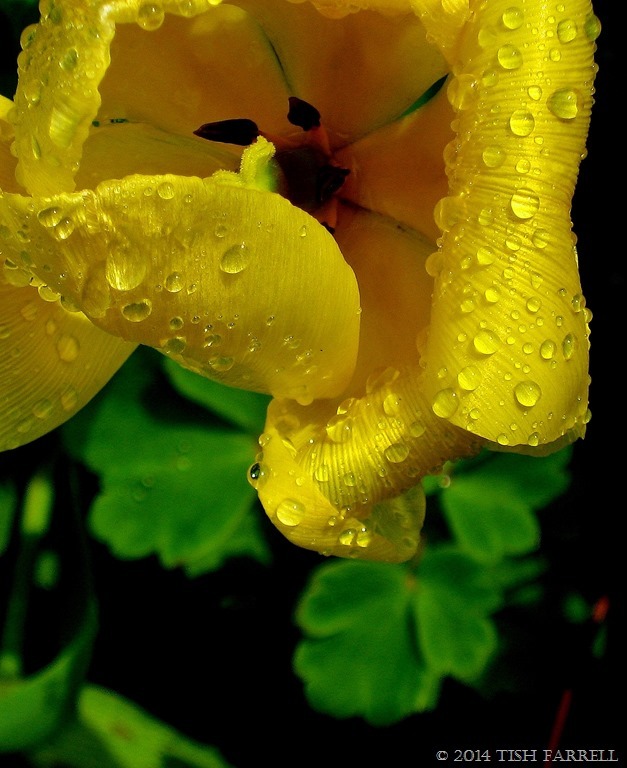 Bright yellow tulips – perfect picture to cheer up our solstice! Still got my va-va-va-zoom, Tish (just!) 🙂 And I love the dewy vibrancy of these. Hoping your life stays full of colour! Thank you, Lizard100, and for dropping by my blog. 🙂 love your title Tish! Goes well with your beautiful photos. Thanks, Tina. All the best to you for the coming holidays. Ravishing – and I love your header too! Gorgeous photos, Tish. I, too, forgot to plant bulbs last Fall. I’m hoping that the daffs and crocus come back better than ever. Fingers crossed …. Oh yes. The daffs and crocus should be fine. Happy holidays, John. Thank you again, Ronaldo. Sorry for the slow reply but have been off line till today.